A Pacific fish uses mirrors as well as lenses to help it see in the murky ocean depths, scientists have revealed. The brownsnout spookfish has been known for 120 years, but no live specimen had ever been captured. Last year, one was caught off Tonga, by scientists from Tuebingen University, Germany. Tests confirmed the fish is the first vertebrate known to have developed mirrors to focus light into its eyes, the team reports in Current Biology. "In nearly 500 million years of vertebrate evolution, and many thousands of vertebrate species living and dead, this is the only one known to have solved the fundamental optical problem faced by all eyes - how to make an image - using a mirror," said Professor Julian Partridge, of Bristol University, who conducted the tests. Spookfish is a name often given to Barreleyes - a group of small, odd-looking deep-sea fish species, found in tropical-to-temperate waters of the Atlantic, Pacific, and Indian Oceans. A rare live brownsnout spookfish, Dolichopteryx longipes , was caught last year between New Zealand and Samoa, by Professor Hans-Joachim Wagner, of Tuebingen University. While the animal appears to have four eyes, it technically has two, each of which is split into two connected parts. The spookfish needs one half to point upwards, to capture faint glimmers of light from the sea surface 1,000m above. The other half, which looks like a bump on the side of the fish's head, points downwards. These "diverticular" eyes are unique among all vertebrates in that they use a mirror to make the image. 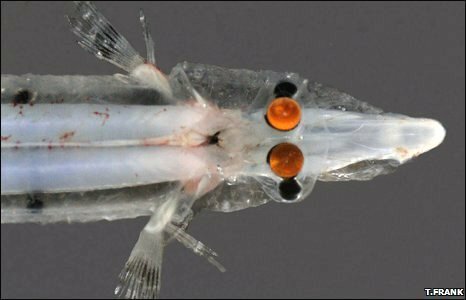 Prof Partridge said: "Very little light penetrates beneath about 1,000m of water and like many other deep-sea fish, the spookfish is adapted to make the most of what little light there is. "At these depths it is flashes of bioluminescent light from other animals that the spookfish are largely looking for. "The diverticular eyes image these flashes, warning the spookfish of other animals that are active, and otherwise unseen, below its vulnerable belly." The mirror uses tiny plates, probably of guanine crystals, arranged into a multi-layer stack. Prof Partridge made up a computer simulation showing that the precise orientation of the plates within the mirror's curved surface is perfect for focusing reflected light on to the fish's retina. He added: "The use of a single mirror has a distinct advantage over a lens in its potential to produce bright, high-contrast images. "That must give the fish a great advantage in the deep sea, where the ability to spot even the dimmest and briefest of lights can mean the difference between eating and being eaten." thanks for the reminder wook. i havent been out on the water with my fishing buddy in a while. he always seems to notice and point out to me that no matter what else is going on there is "some type of life that is in abundance"
Soon nano injections will be like mandatory vaccines. The genome project is about replicated humans, plain and simple. nature forces evolution in ways that science does not want to admit to. Science does not accept spontaneous or evolution on the super fast track. Catastrophism forces evolutionary changes in planetary life as well. what was the first spookfish with mirrors? 10,000 years is a lot quicker than 5 million. I am thinking 100 to 200 years, if not less in many circumstances. Evolutionary mutation may be a hidden part of all DNA as an adaptability and survival component of life itself. Biological mirrors. Well, f..k me a-runnin'! That's an eye opener, and no mistake. Or pun, either. Ya know, I now very much suspect that life is everywhere, so to speak, in this multiverse of ours. Organisms can live in battery acid, 11,000 feet down in solid rock, within inuslation on a lunar lander for years, in boiling water, suspend animation for many MILLIONS of years, on and on. And tardigrades. Now, they are incredibly tough, able to survive most anything. As there have now been simple amino acids discovered in interstellar space - that's interSTELLAR now - it seems to me that it's at least within the realm of reasonable speculation that there may well be life floating in an infinite drift between the stars. Why not? All the ingredients are there. Same for Mars. All the ingredients are there, and as Rumsfeld said, we don't know what it is that we don't know. Anyway, that's one amazing fish! I just thought I would carry on New Life discoveries on this thread. The recent finding that plants could be a major source of the atmosphere's methane is challenged by new research. A 2006 study suggested plants could account for almost half of the global production of the greenhouse gas. But a UK-based team now reports that under normal conditions, plants just convey methane from the soil to the air without actually producing it. Writing in a Royal Society journal, they suggest identifying sources of methane is key for climate control. The gas is about 20 times more potent, molecule for molecule, than carbon dioxide. After remaining stable for almost a decade, there have been signs in the last two years that concentrations have begun to grow again, which according to some observers presages an era of faster-rising temperatures. The research that sparked the debate was published almost exactly three years ago by a group from the Max Planck Institute for Chemistry in Mainz, Germany. Frank Keppler's team found that plants emitted methane from their leaves under normal growing conditions, although the output increased in high sunlight and high temperatures. They suggested that plants possessed a hitherto undiscovered biochemical pathway that could generate the gas. The finding surprised scientists, and other groups tried to replicate it - with mixed results. "It just didn't make sense, and wasn't something that had entered into any of our minds," said Ellen Nisbet, leader of the group that has just published the latest findings in the Royal Society's Proceedings B. "But then we looked at the details of the experiments they'd done, and they were clearly very well done - we just didn't like the conclusions," she told BBC News. Part of her team's work involved growing several different varieties of plant, including maize and rice, in media that contained no organic material, so eliminating the chances of methane being formed through decay in soil. They found during these experiments, conducted in closed chambers, that the plants produced no methane at all. In another experiment, they compared the genomes of several plants with those of bacteria that produce methane by biochemical pathways that are well understood. Plants, they concluded, could not generate the gas by any known pathway because they do not possess the right genes. In a third strand of investigation, Dr Nisbet fed basil plants with water containing dissolved methane. Later, the air from that chamber was analysed and found to contain the gas. The team concludes that plants do emit methane during transpiration - the release of water from leaves - but only the methane they have absorbed in water from soil. "I think this does tell us that the vast majority of methane emitted in normal growth conditions is explained by the absorption of methane in the soil water," said Dr Nisbet, who conducted the research at the University of Cambridge but who now works at the University of South Australia in Adelaide. In stressful conditions, such as high temperatures or high intensities of ultraviolet radiation, plants can begin to decay, which also emits methane - but this is not significant under normal conditions, according to this analysis. Dr Keppler suggested the new research does not disprove his idea that a new methane-producing pathway in plants is awaiting discovery. "The paper is adding transpiration as a source of methane - that's a nice observation although not entirely new; it's been found in other studies that rice plants act as tubes to conduct methane to the air," he told BBC News. "But we clearly showed in previous studies that emissions came from the plant itself." His research team is now actively looking for that elusive new biochemical pathway. So the issue is clearly not completely settled yet. In the meantime, Ellen Nisbet suggests there is potential to reduce methane emissions from rice paddies by using farming techniques that ensure fields are always oxygenated, which inhibits methane-producing decay. In recent years there has been a lot of interest in "no-till" or "minimum-till" methods that disturb soil less than conventional farming, helping the earth to store carbon. Some studies suggest the same technique might also restrain methane release. Itz time for the Farmers to say NO!!! to these gouging bastards! The flatfish were seen on sediments that harboured snails feeding on bacterial mats. The flatfish may also be ingesting bacteria. Scientists have witnessed the extreme lifestyle of tonguefish that like to skip across pools of molten sulphur. 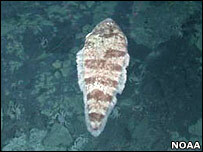 The animals - a type of flatfish - were filmed on three expeditions to undersea volcanoes in the western Pacific. Huge numbers were seen to congregate around the sulphur ponds which well up from beneath the seafloor. Researchers from the University of Victoria, Canada, are trying to work out how the creatures survive in such a hostile environment. "There are a lot of toxic heavy metals coming out of these active volcanoes," explained Dr John Dower, a fisheries oceanographer. "The water is very warm, and it can be very acidic, the pH can be as low as two like sulphuric acid," he told BBC News. "And yet here we've got a group that has not previously been seen in this type of environment and they're doing very well - they're actually thriving." The fish have been studied with remotely operated submersibles, including the Jason II vehicle this year. The area of interest is the Mariana Arc, a 1,200km chain of volcanic seamounts and islands between Guam and Japan. It hosts a number of hydrothermal vents - rock systems that draw water through cracks in the seafloor, heat it to temperatures which can be well above 100C, load it with dissolved metals and other chemicals, and then eject the hot fluid back into the ocean. This type of habitat will support a range of specialised animals such as crabs, shrimp, mussels, and worms - but very few fish. And the flatfish seen on the Mariana Arc seamounts are a first. "The density of these things is remarkable; we've determined that the abundances are actually about two orders of magnitude (100x) higher than what one typically finds on the continental shelf," said Dr Dower. "So, these may be the highest flatfish densities seen anywhere, and it raises the puzzling question: what's supporting all that biomass?" The team thinks the flatfish may be living on resources in the sediments, possibly worms or even bacteria. On one voyage to the vents, the tonguefish were seen to rip apart a dead fish that had fallen out of the water column above - so they may not be too choosy about where their meals come from. What is certainly astonishing is their behaviour around the sulphur pools. The molten material that wells up from beneath the seafloor is denser than the surrounding water and simply lies in ponds in the depressions through which it emerges. The measured temperature is more than 180C (355F). "These flatfish live right up against the edge of the pools, and in a couple of cases we saw them out on the surface of a pool," said Dr Dower. "We have video of a fish sitting on the molten sulphur and then moving off after a couple of minutes, apparently unharmed. They seem to be able to tolerate an environment that no other flatfish, and very few fish in general, are found in." The deep-sea submersibles captured some of the fish and they are now being analysed. They have been assigned to the taxonomic genus of Symphurus but they are a species new to science. The team intends to describe their behaviour and ecology in detail in a forthcoming journal paper. Independent scientists who have seen the video of the tonguefish confess to being amazed. Dr Alex Rogers is a senior research fellow at the Zoological Society of London (ZSL), and recently co-authored a report on the state of seamounts for the United Nations. "This is stunning," he told BBC News. "The temperatures which these fish are experiencing means they must have remarkable stress defence mechanisms to be able to survive in that environment. 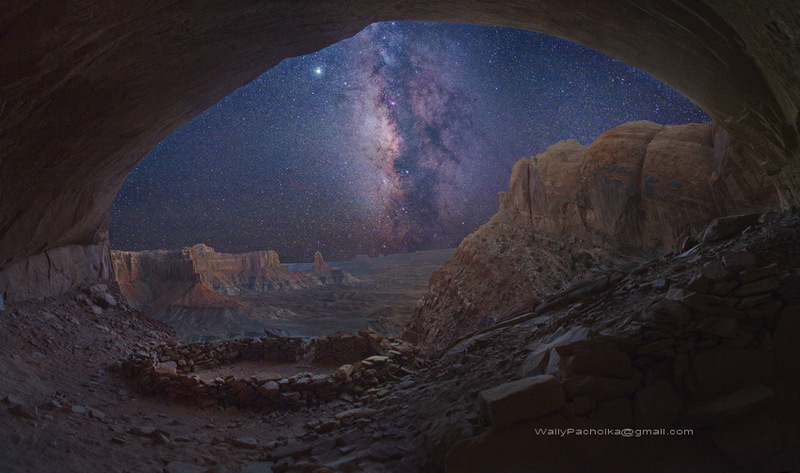 "So physiologically it's remarkable; but as a visual spectacle, it's like something from another planet." Dr Dower has been talking about the fish here at the American Geophysical Union Fall Meeting. 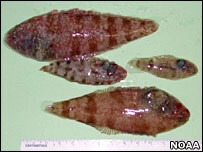 You can see video of the flatfish by clicking on the Noaa web link. Quote: A Glasgow team is to launch a major trial to assess whether stem cells can be used to treat stroke patients, the BBC has learned. They hope it will put the UK at the forefront of developing stem cell therapy for incurable disease. Cells made from a human foetus will be injected into patients' brains. It is hoped the cells will regenerate areas damaged by stroke, and increase patients' movements and mental abilities. However, the idea has in the past been described by anti-abortion groups as a "sick proposal". The trial, due to start in the middle of this year, will initially involve four groups of three patients over two years. Doctors are primarily testing the safety of the procedure but there is the possibility that some patients may benefit from the treatment. The first group will receive a low dose of two million foetal stem cells. The dose will be gradually increased over the trial period and the final group will receive 20 million cells - which doctors think might be enough to begin regeneration. Keith Muir, the consultant leading the trial at the Southern General Hospital in Glasgow, said he was "very excited at the prospect of a genuine world's first". He said: "If it works, as it has done in animal model systems, it may allow new nerve cells to grow or regeneration of existing cells and actual recovery of function in patients who would not otherwise be able to regain function." A third of stroke patients make a full recovery, but the rest either die or are left permanently disabled because their brain has been so damaged. Currently the only treatment is physiotherapy to restore movement and brain function. But Dr Muir believes the new therapy has the potential to benefit those for whom physiotherapy has been of limited help. He said: "For the high proportion of patients who make an incomplete recovery it has the potential to put in new cells which will allow new growth. "Otherwise you are trying to make the most of recovery in an area that is fundamentally damaged and cannot regenerate beyond a certain fundamental level. "You can reorganise the brain, you can help that reorganisation with physiotherapy but you cannot cause new nerve cells to grow. "The hope with stem cell therapy is that by putting in new cells and new tissue that you can further improve on that recovery." The company which developed the cells, Reneuron, first applied to begin trials in the US two years ago. But it did not get the go-ahead from the US Food and Drug Administration. Reneuron has, however, now satisfied the UK regulator - the Medicines and Healthcare Products Regulatory Agency - that the therapy is safe enough to try out on stroke patients. Dr John Sinden, Reneuron's chief scientific officer, said the FDA has been very cautious, and had not given the go-ahead to a single trial involving stem cells. But he said the attitude in the UK - both from the public and the regulators - was more positive. Dr Sinden believes his success will mean that other companies frustrated by the FDA's slow processes will make applications in the UK and other parts of Europe for their stem cell trials. He said: "Europe is going to be the centre in stem cells and regenerative medicine and that is very exciting." However, the use of an aborted human foetus to create the stem cells will disturb campaign groups who have opposed the use of embryos in this kind of medical research. When Reneuron first announced that they would apply to the FDA for clinical trials the Society for the Unborn Child described the proposal as "sick". A spokeperson said: "It involves cannibalising an unborn child. "It is unethical in every way - killing one member of the human race to help another. We are totally opposed to this." In response, Dr Sinden said: "We have only taken one donation of tissue to make this product. "We have a technology that is able to scale up an individual cell into all of the cells that are required to treat thousands of patients. We think this is a major plus in the technology we have and really negates the ethical concerns about the original use of foetal tissue. "It would be ethically wrong to deny treatment." A herbalist wandering into a room full of scientists would likely get a mixed reception. But new research could have put plants firmly back in the drug business. Scientists in the US have engineered plant cells to churn out several chemical compounds that organic chemists could only ever dreamt of getting bacteria and yeast to make. The plant-produced compounds include molecules similar to cancer drugs. This breakthrough marks the first time genetic engineers have coaxed plants into creating chemicals they do not naturally make, besides proteins. Previous efforts, such as vitamin A-producing golden rice, merely cranked up the levels of existing compounds. Morphine, some cancer drugs, and the malaria medicine artemesin, already come from plant extracts. Countless other drugs originated in plants before scientists learned how to make them in the laboratory. "Plants already make compounds for us," says Sarah O'Connor, a biochemist at Massachusetts Institute of Technology. "The question is can we try to manipulate those pathways a little bit to get them to make variations on some of those compounds." She and colleague Weerawat Runguphan chose the Madagascar periwinkle (Catharanthus roseus) for its elaborate biochemistry. The pink- and white-flowered perennial produces at least 130 toxic alkaloid compounds, which probably keep insects, microbes, and herbivores at bay. One such chemical, vinblastine, stymies cell division and has shown effectiveness in battling lymphomas. Plants and all other organisms make chemicals via step-by-step pathways, each stage catalysed by a specific enzyme. The pathways responsible for making many of periwinkle's alkaloids, including vinblastine, are so elaborate that scientists have worked out few of the specifics. But O'Conner's team knew that an enzyme called strictosidine synthase was crucial in a step involved in converting one starting chemical to an intermediate in the chain. Her team genetically engineered the enzyme to use different starting materials, thus ensuring a new final product. Simply growing up plant cells in the presence of the new starting material ensures they make a unique final product. The engineered enzyme works like a builder who takes whatever material is in front of him â wood, tile or linoleum, for instance â to line a kitchen floor. The resulting alkaloids vary only slightly from the compounds the periwinkle makes naturally, but such tweaks could prove useful for improving medicines that plants already make, O'Connor says. One challenge will be to boost the amounts of drugs that plant cultures crank out. O'Connor's team collected about 1 milligram of chemical from 100 millilitres of cells, an impressive yield, she says, but not on the scale needed for commercial drug production. Ideally, full-fledged plants, not cells swimming in broth, will pump out new drugs. "You can regenerate the plant from the tissue culture. That's something we have been able to do," she says. Plants may prove useful to generate new medicines, but drug companies will probably turn back to microbes to produce these drugs in appreciable quantities, says Bradley Moore, a biochemist at Scripps Institution of Oceanography in San Diego, California. However, this will require figuring out exactly how plants create drugs like vinblastine, then swapping all the genes into bacteria or yeast â no simple feat. "That is the goal of this new science of green chemistry â being able to use organisms to do chemistry for us," says Moore. | Discovery News Video Jan. 16, 2009 -- Fish aren't known for their impressive singing ability, although some can grunt and hum, yet singing originated in lungfish, according to new research that also determined how songbirds consistently produce melodious, sweet tunes. In the future, the findings may lead to better human singing, as well as improved treatments for speech impediments, since humans and birds sing using similar techniques. "Babies go through several phases of learning before they fully speak -- like babbling, one word, two words, etc. -- and so do songbirds," co-author Tobias Riede told Discovery News. The species are self-propagating from seed; the seeds require a period of total darkness to germinate. Cuttings from mature plants will also root readily. One species, C. roseus, has been widely cultivated and introduced, becoming an invasive species in some areas. C. roseus has gained interest from the pharmaceutical industry; the alkaloids vincristine and vinblastine from its sap have been shown to be an effective treatment for leukaemia and lymphoma. Although the sap is poisonous if ingested, some 70 useful alkaloids have been identified from it. In Madagascar, extracts have been used for hundreds of years in herbal medicine for the treatment of diabetes, as hemostatics and tranquilizers, to lower blood pressure, and as disinfectants. The extracts are not without their side effects, however, which include hair loss. Vinca alkaloids are anti-mitotic and anti-microtubule agents. They are nowadays produced synthetically and used as drugs in cancer therapy and as immunosuppressive drugs. These compounds are vinblastine, vincristine, vindesine and vinorelbine. Periwinkle extracts and derivatives, such as vinpocetine, are also used as nootropic drugs. Catharanthus lanceus contains up to 6% yohimbine in its leaves. A comb jelly trips the light fantastic as it pulses off Heron Island on Australia's Great Barrier Reef complex. 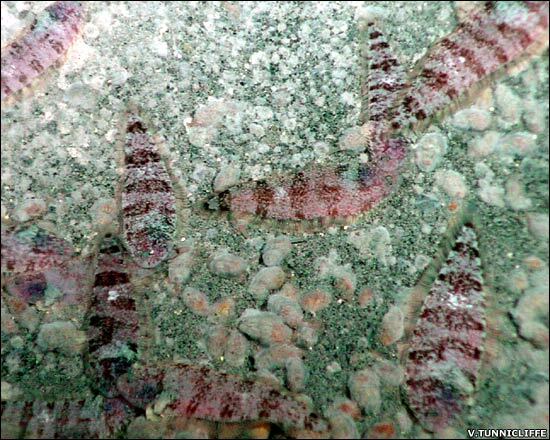 The creature, which lacks the stingers of jellyfish, was among thousands of species studied at three coral reef sites--two of them along the Great Barrier--during a four-year survey led by the Australian Institute of Marine Science. There are some exciting new finds on the Great Barrier Reef. Quote: Did life begin in a pool of acidic gloop? JETS of sulphurous steam roar out of holes in the ground and an eggy stench hangs in the air. This is Bumpass Hell, a valley of bubbling mud pools in the heart of the Lassen Volcanic National Park in northern California. The valley is ringed with beautiful pine and fir trees climbing up the surrounding slopes, but life seems to have stayed away from the lower reaches. Billions of years ago, though, the opposite might have been true. I've come to Bumpass Hell with David Deamer, a biochemist from the University of California, Santa Cruz, to watch him run an experiment recreating one of the most important episodes in the history of life: when carbon, hydrogen, oxygen, nitrogen and phosphorus came together in the primordial soup to form amino acids, DNA and the rest of life's building blocks. If Deamer is right, then the sort of extreme conditions found here were key to that momentous event. It may be an unattractive and rather dangerous place to work, but to Deamer this is one of the most precious places on Earth - the closest thing he can get to the cauldron of chemicals from which life might have emerged over 4 billion years ago. It's simple. Cows produce methane. There is methane on Mars. Therefore, there are cows on Mars. What gets is is that so many knowledgeable people still miss a few very important points. First point: the early atmosphere was about 250 to 300 times as dense as our atmosphere today. This has many implications. The first and most obvious is that the density of chemicals present to start life with was far greater in the atmosphere that the Urey-Miller experiment of any other even attempts. We live in a comparative near-vacuum compared to what existed when life began. The fact that the experiments produce anything at all under these conditions is a miracle in itself. It tells me that the chemistry is far, far more likely under those other conditions that existed 4.6 billion years ago. Second point: under those conditions, the boiling point of water was far higher than it is today. Under 300 bars, the boiling point of water is somewhere between 400-450C. Remember those oddball fish that can lay on pools of molten sulfur without dying? Of course, their enzymes are highly crosslinked and contain unexpected metals at their hearts, such as tungsten instead of iron. In other words, we can expect that under high pressures, life will adapt to much higher temperatures in order to take advantage of water's solvent capacity. Sort of obvious in hindsight. Third point: At those sorts of temperatures, we have a "free energy potential" zone where simple thermal processes can make reactions proceed that would not under other conditions. Look up Gibbs free energy function and see how it applies to cellular biology. For any fully reversible chemical process, there is an energy range that allows it to proceed and we can see chemicals coming together, doing something, and coming apart again without consuming any real energy. It's like a box of legos making little tools and then comig apart into a fluid, ready to form new tools at random. This would be happening in the early Earth's atmosphere. Fourth point: due to Reynold's number and the resulting drag coefficient, the ocean would be in the atmosphere under these conditions. The entire planet would be like the volcanic zones in the deep oceanic trenches. Volcanoes on the surface would be far more like the black smokers in the deepest oceans. Think it through. Our planet had an ocean-atmosphere in its infancy, and the density of the chemistry would have been staggering, as well as the geometric increase in the numbers of reactions that would have occurred. This blows the religious "statistics are against it" argument against life forming at random, to pieces. The formation of life is inevitable. We should expect any terrestrial planet to have had such a period in its past. There is so much more, but apparently the big brains can't wrap their heads around the ideas or their implications. These four points should be enough to get everyone thinking a little. Quote: Our planet had an ocean-atmosphere in its infancy, and the density of the chemistry would have been staggering, as well as the geometric increase in the numbers of reactions that would have occurred. This blows the religious "statistics are against it" argument against life forming at random, to pieces. The formation of life is inevitable. We should expect any terrestrial planet to have had such a period in its past. Its interesting to think of what the thickness of the atmosphere would have done. Greater pressures result from that, would the pressures have effected reaction rates to any significant degree? That was a good post SC! what it reminded me of actually was the Venus atmosphere. I bet that certain levels of the Venus atmosphere are packed with life. to reach a stability of equilibrium with environmental factors for survival. but something always makes it to start over. which would be the best possible time for any exchange of material from Venus to Earth." The last such alignment took place in 2004 and the next will happen in 2012, he said. However, Sattler et al. (2001) found microbes that live and reproduce in Earthâs clouds. They found on average 1500 bacteria per mL of cloud droplets. since clouds on the earth last only a number of days. and small particle size of Earth clouds make them an extreme environment. 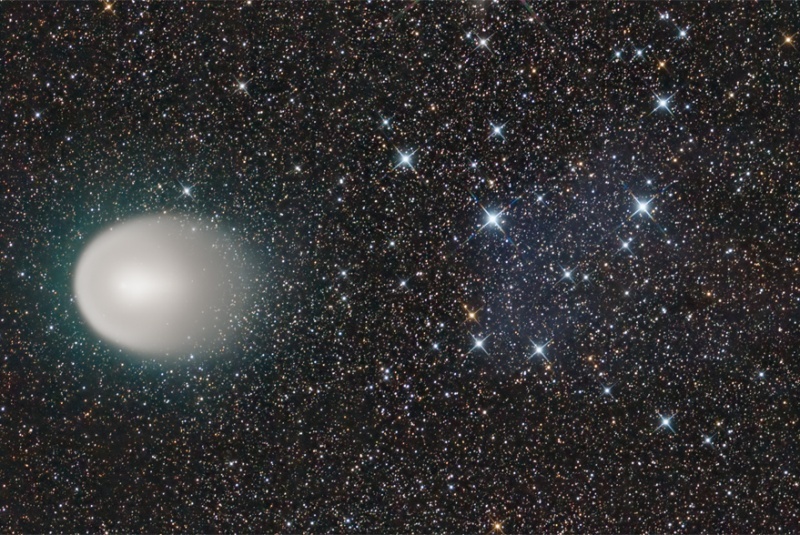 Adapting to life in these clouds seems to pose even more difficulties than in Venusâ clouds. On Venus, the particles are larger and the clouds last for months as opposed to days. Quote: [quote]Our planet had an ocean-atmosphere in its infancy, and the density of the chemistry would have been staggering, as well as the geometric increase in the numbers of reactions that would have occurred. This blows the religious "statistics are against it" argument against life forming at random, to pieces. The formation of life is inevitable. We should expect any terrestrial planet to have had such a period in its past. Talking about the statistics is simply good just to mention the sheer number of stars out there, those statistics are defeated by sheer numbers alone. Estimated 100 billion some stars in our galaxy I beleive and they say there is only a .001% chance life will arise on a given planet(made up number no less but I have heard similiarly low numbers). Can I multiply that .001% by 100 billion? Quote: What gets is is that so many knowledgeable people still miss a few very important points. Therein lies the next great problem for those who will soon wish to declare that life evolved independently on Mars. Declaring the exisitance of life on Mars is a piece of cake compared to proving that any lifeform found on Mars is not, in fact, a transplant from Earth. Especially if it is a lifeform that 'could' exist here. Not at least, until we are totally confident we have a complete catalog of all that exists here. At the rate we are discovering new and exotic forms of life we didn't expect right here, that is not something we are likely to see in our lifetime. And......if you are to take seriously at all, the belief of many here that there are artifacts of artificiality on both the Moon and Mars, then that little tid-bit alone adds a huge stack of jokers in the deck to say the least. Cry foul all you want, but that's where it's going next, no matter what side of that issue you may believe. I like Outside our System. Or did they both arise simultaneously? Considering the conditions oneac planet and th evidence of reversed (DNA or proteins?) I think its likely simultaneous is what happened. Considering the existance of desert varnish with no known link to anything on earth, both could have seeded each other as well. [quote author="Tarius"]Considering the existance of desert varnish with no known link to anything on earth, both could have seeded each other as well. Really? No link to earth? Where was this established? Seeding between the planets is almost certain, but which came first, the chicken or the egg? The reason there is no known link is because it has reversed, either DNA or proteins, forget which it was, will have to go back and look it up, but either way, that makes it incompatable with all other known life on earth. Sir Charles mentions this in his book(assuming I remember this correctly), and I have to say, it would have to be a pretty radical mutation for something to reverse like that which makes it all the more likely its not from here, specifically when the desert varnish appears on mars. Hopefully I am stating this correctly, I am sure Sir Charles can say it better then I can. It seems much more likely that any interplanetary seeding came from Mars to Earth...mainly because pebbles roll downhill. To get to Mars requires >30,000 mph. I don't think even the largest impact on Earth would accelerate material to that velocity. But smaller Mars needs much less speed to escape its gravity. There is also the question about the Solar winds verses the gravitational pull of the sun. Does one trump the other......always? I'm not sure I would write off natural transportation of material from the earth to Mars. I would not write off unintentional seeding of Mars from earth via our landers and probes over the last few decades either, although how fast any such hitchikers could colonize the planet to produce methane plumes is in doubt. Possibly. I am among those who believe deliberate seeding took place long ago, and from here to there. And in very much larger lifeforms than we have yet seen evidence of. Of course I don't base this on what we have discovered on Mars, but on what we have discovered right here on earth. We once had the technology to do it. IMHO. Dinosaurs were able to survive colder temperatures than was previously thought, according to new research that casts doubt on theories that they were killed off by plummeting temperatures caused by climate change. The upshot of it is that the organisms produce reversed amino acids. These are not a normal part of terrestrial life and there are no genetic codes contained in Earthly organisms to produce them. This is often stated to be a proof of alien life- if you find an organism that produces and uses reversed amino acids, it is doing something highly unusual. Now, this is not to say that reversed amino acids are not found at all on Earth. They can possibly be produced in very old biological samples where racemization occurs over time. Sometimes an amino acid can spontaneously reverse but it takes lots of it and a long time to happen, and this can sometimes be used to date things. We also find reversed and exotic amino acids in carbonaceous chondrite meteorites, and these are though to be randomly assembled from tholin, the "primordial soup" that is being made all the time in space in small quantities from abiotic material and energy. Good energy sources are ultraviolet light (from stars, the Sun, etc.) and static electrical effects (lightning, static discharges, etc.). The difference here is that these organisms are making it on the fly. Sequencing these things would be a nice project. I happen tp believe there is a very good chance that current lifeforms exist on Mars for any number of reasons, but I am a little confused by statements I read here that seem to say that reverse coded amino acids exist as a basic foundation in that life? That seems to be a bit of a leap that this should be declared when there is not yet a general consensus that life actually exists there. Are we already breaking down it's make-up beforehand? Can we? Seems a stretch at this early date. While we cannot figure out if that is true yet, what we do know is this. Terrestrial organisms (those native to this planet and that developed and evolved here) use left-handed amino acids in their makeup. If we were to find an organism that used right-handed amino acids, we would know that it is not a native because terrestrial organisms do not do this. Now we see that rock varnish has right-handed amino acids in it, and that rock varnish is present on both Earth and Mars. So we see that it is present on another planet, one that was once habitable (and still is for some organisms). The conclusion is that rock varnish is an import, and that we may have found its source. So Mars has rock varnish organisms, and we do have samples of its rock varnish in the lab from Martian meteorites but as far as I can tell, nobody has done an examination or a gene sequence of it to say if it matches Pedomicrobium or Metallogenium organisms we have in our deserts. However, we have found this organism on Earth that has alien characteristics (backwards amino acids) and we have also found this organism on Mars, so the logical conclusion is that rock varnish organisms are from Mars. Current time: 04-22-2019, 07:14 PM Powered By MyBB, © 2002-2019 MyBB Group.